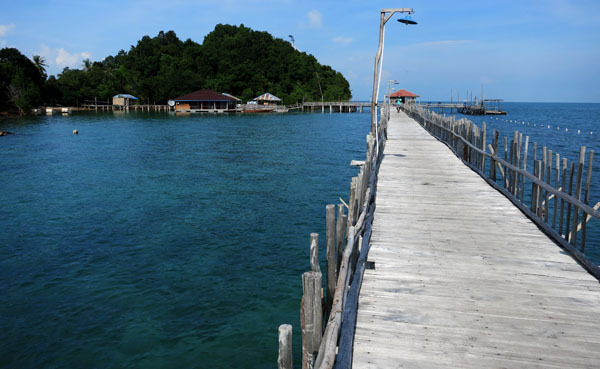 Some time in the mid of Nov 2014, I visited a seaside resort at Palua Labun which lies on the western coast of Batam's southern most island (Pulau Galang-baru). 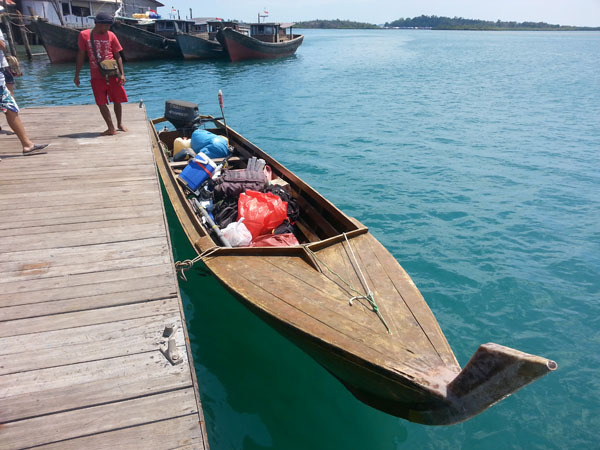 To be honest, I have not heard about this kelong/resort before this trip, therefore I had to equip myself with a little of everything as I have no idea what to expect. The trip was on a Saturday and so it began with a mad rush at Habourfront to take the ferry to Batam Centre. The journey there was uneventful but when reached Batam Centre, we faced another long queue to clear the custom. 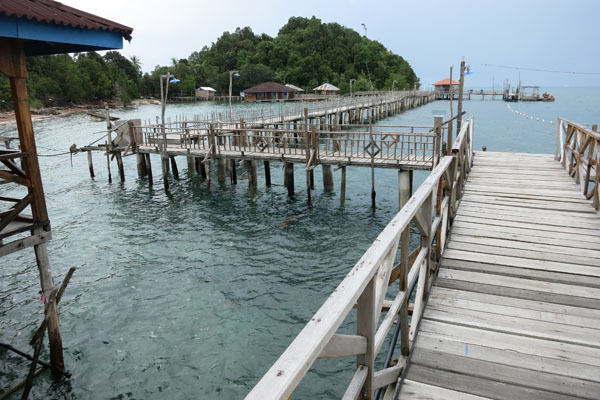 The journey (by land) from Batam Centre to the little pier to take a boat to Pulau Labun took about slightly more than an hour. 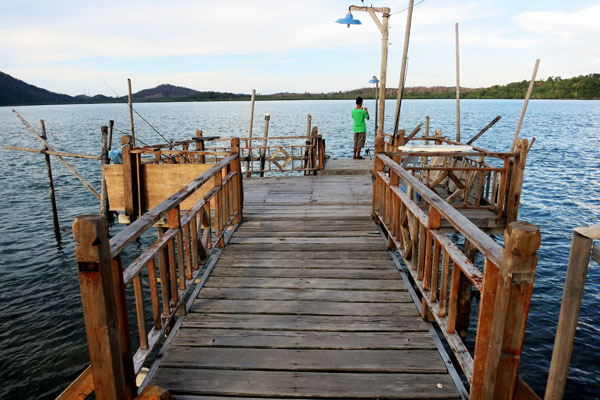 Along the way we cleared the 6 bridges that linked the southern islands of Batam. After crossing the sixth bridge, we turn off the main highway into a non-descriptive dirt track towards the pier(/sea). 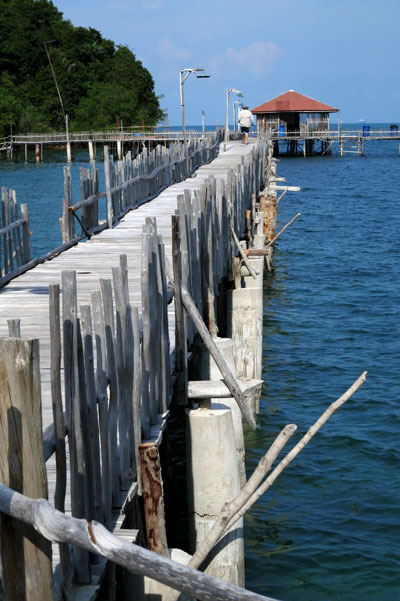 The pier is in a rather isolated part of the Batam archipelago and the surrounding area shows no sign of polution unlike the water around the Batam main island. 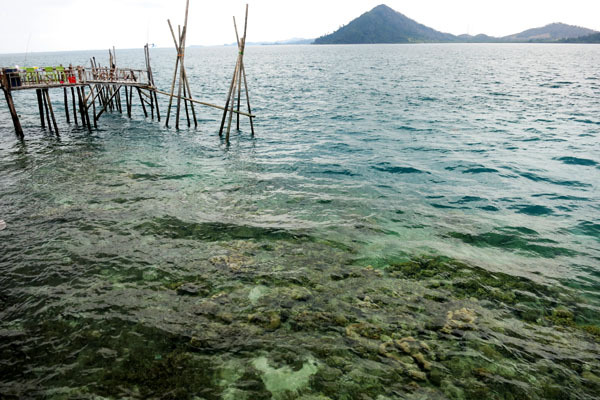 Moreover the islands within sight looks prestine and they are all surrounded with mangroves. Other then the pier there isn't any other signs of developement or heavy human activities. This gave the angler in me much hope. 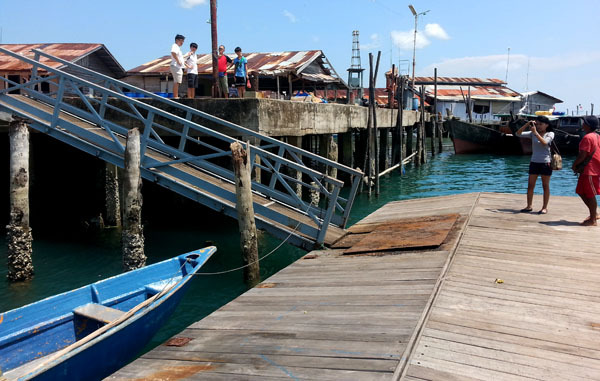 The boat ride from the pier to the kelong took around 5 to 10 minutes. The rooms assigned to us are decent, they are air-con (only when power is on in the evening and night) and come with attached toilet/bath. Each room can take up to 4 people, with a large bed that can sleep 2 and 2 mattresses. 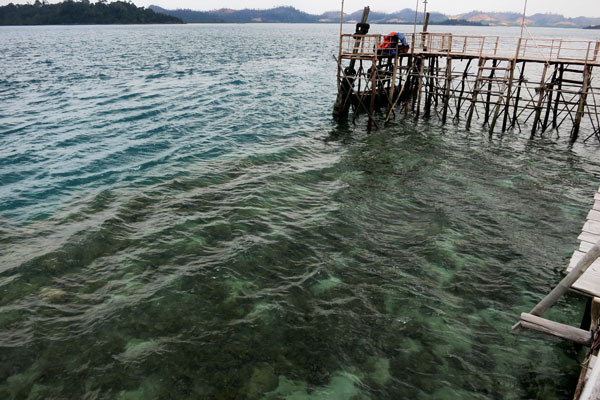 The units are build above water and linked by a long jetty of sort, that's about 15~20 meters parallel from shore. 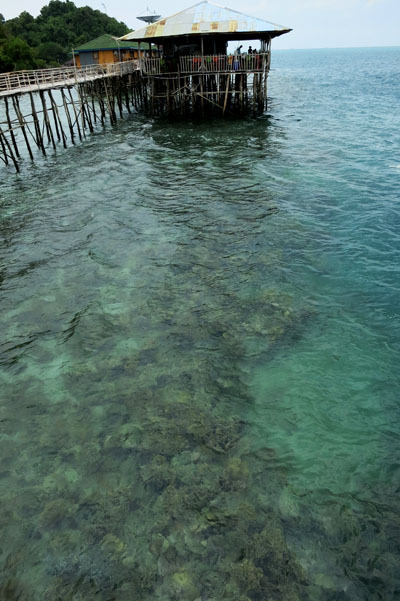 The platform/walkway/jetty itself stretch over a distance of 200~250 meters, along the shallow reef for, according to my estimate about two third the length of the island. 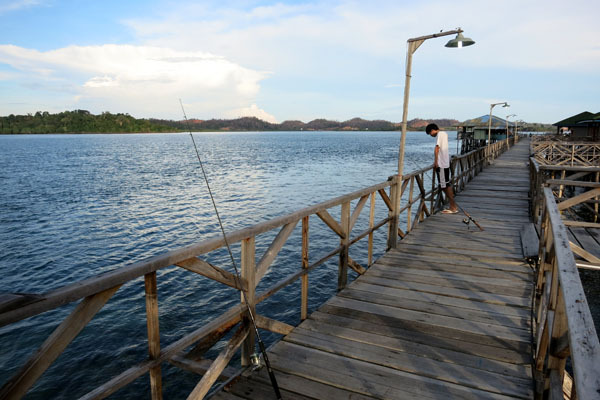 Fishing from this jetty itself is not recommended, as the flats its build on is full of rocks and corals. 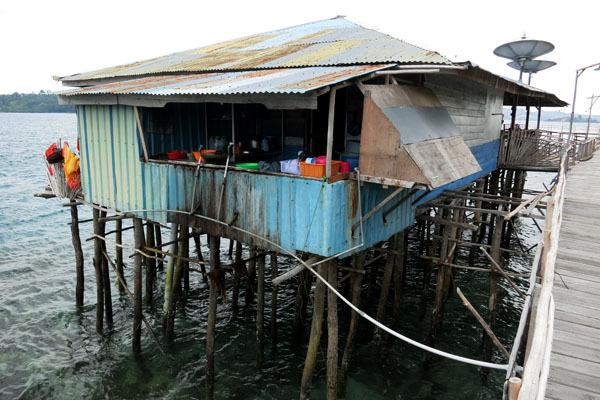 This flat extend toward the sea, where it drop off after 7 to 10 meters from the jetty. The flat stretches round the island as far as I am aware, or at least on the side of the island where we were. 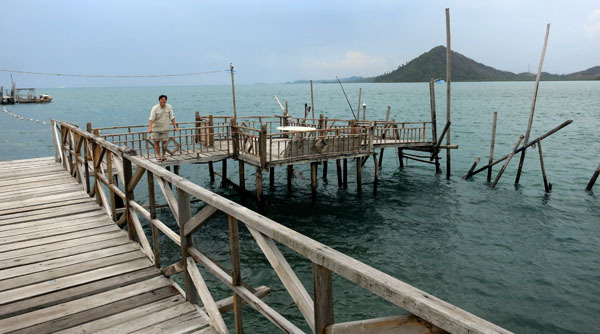 At 3 points along the jetty, short extension or boat landing platform are build toward the sea. This reaches out towards the end of the flats and allows boats to lean to, to dismount and pick-up passengers. 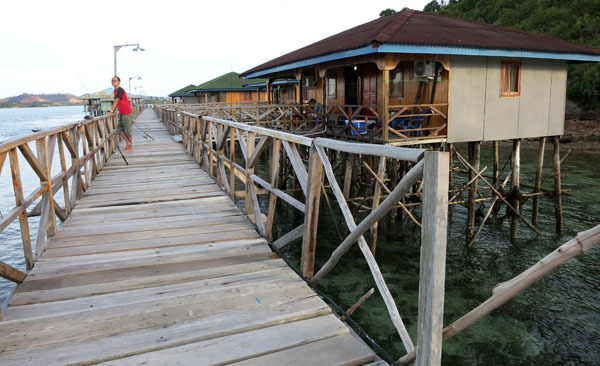 And at one of these extension, there is a floating platform where we actually board the kelong. These 3 extension were where we did most of our fishing. Fishing for any other places runs the risk of getting your terminal rig stuck. Incidentally the jetty is connected to land at both ends, but I didn't have time to explore the island, maybe next time. For most of the time we were there, the current outside the flats is rather strong so slightly larger sinkers were required. The fishing was decent if you invest the time. 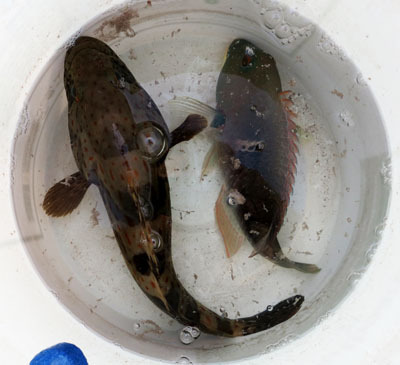 Fish species caught are the usual gang that you find around coral and rocks. 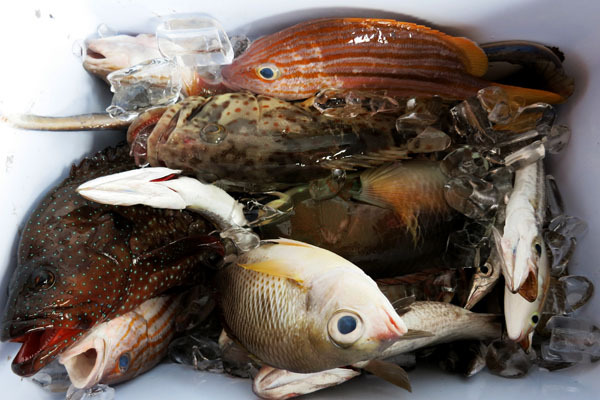 Example are parrots, groupers, snapper, and the standard range of coral fishes. 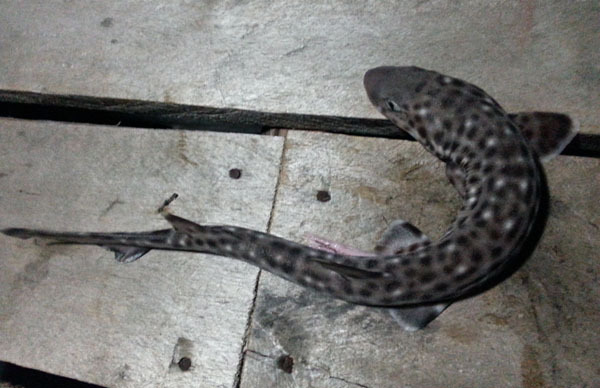 I sighted baby bamboo sharks and batfishes. 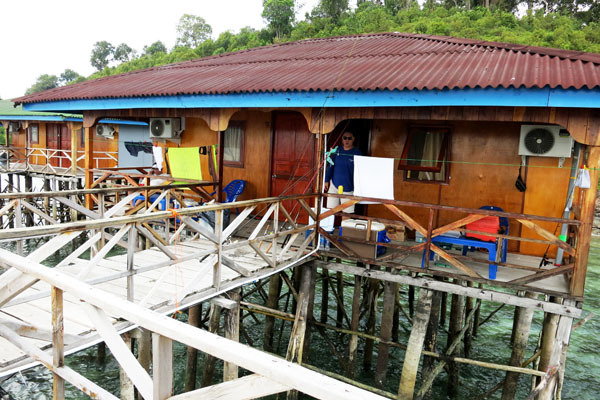 We landed a couple of snook (or deep water kim bak lor), blue spotted rays and caught a number of baby barracuda (should have some large ones around) too. We also landed some squids. To be honest, most of us weren't really hardworking during this trip, but a guy from my group who spent the whole night fishing did manage to enjoy himself with some constant action. The meals provided were simple fare, so bringing some extra snacks ,of your own and drinking water is advised. Water for shower is from the well so it has a little bit of the rusty favour to it. 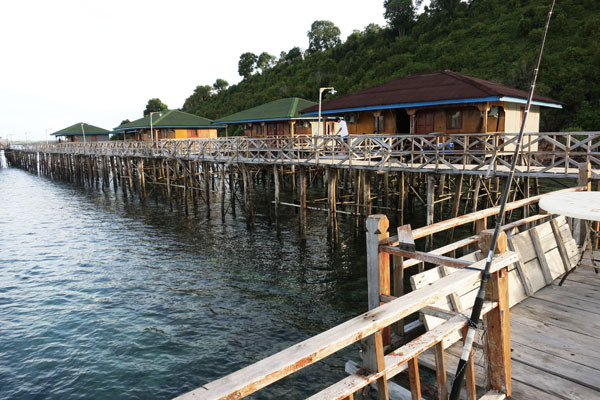 Overall lodging and food is very simple and decent by fisherman standard. Fishing is okay, but do bring more sinker. Baits are not provided.